The hypothesis on monogenic inheritance of white spot pattern on the shell of the gastropod snail Littorina obtusata was tested. Although in most cases our results did not contradict this assumption, the hypothesis cannot explain the observed segregation in general. 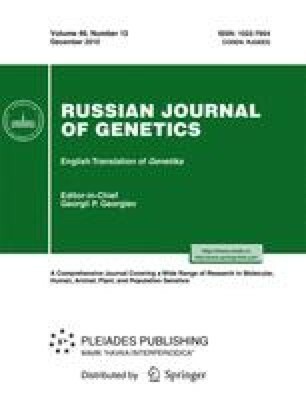 An alternative hypothesis was suggested, according to which the presence of spot pattern is controlled by two complementary biallelic genes. Original Russian Text © E.V. Kozminskii, P.A. Lezin, M.V. Fokin, 2010, published in Genetika, 2010, Vol. 46, No. 12, pp. 1652–1659.